4-way stretch tech nylon. Articulated elbows. 2 zip handwarmer pockets. Zip chest pocket. Teflon water and oil resistant coating. Storm cuff with velcro tabs. A shirt that says it all. 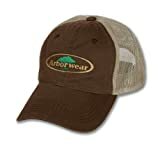 Arborwear has been rooted in the outdoors since 1997. 100% Cotton. Pigment Dyed. It’s like hugging a sheep all day long. Beefy, 12.5 oz. 100% cotton canvas, pre-washed for comfort and fit. Heavy-duty vislon zippered front and side seam zippers for cinching the waist in, or letting it out after dinner. 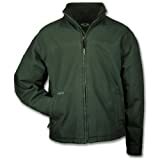 Lined with 280g, 100% polyester double-sided fleece. Zippered, fleece-lined hand warmer pockets and a fleece lined collar. Cut low in the back to help protect your backside from nature’s leering perverts. The woodchucks.